The Ultimate Guide To Best Dirt Bikes For Little Kids. What’s The Best Dirt Bikes For Little Kids? 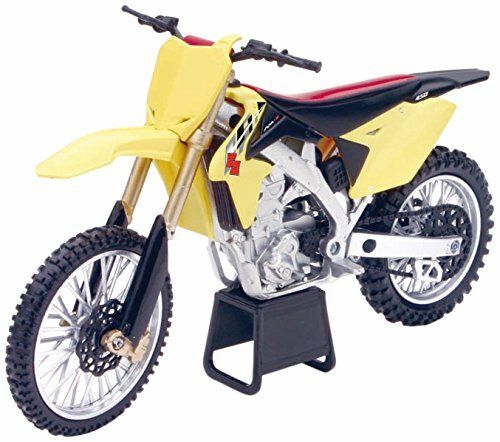 Dirt bikes for little kids are a must have if you want to slowly usher in your young one to the stirring world of dirt biking. You see, riding dirt bikes can be hard and may take months and a lot of practice to figure out even for adults. Now imagine the amount of work you’d be facing with kids if you don’t have the correct dirt bike! Well, I have had the privilege of training my son a bit of this extraordinary sport and had a chance to learn a lot. What Is A Dirt Bike? A dirt bike is a motorcycle designed to be used on rough terrain, for example, unsurfaced tracks or roads, and is commonly used in scrambling. From the smallest age, dirt bikes for little kids are focused on delivering the very best dirt riding experience, safely and combine cutting-edge technology with kid-friendly features to suit kid’s still fledgling riding skills. Kid’s bikes come with four-stroke or two-stroke engines. Four-stroke engines are in general favorable for kids as they deliver power for every 2 rotations of their crankshafts. This permits smoother acceleration and reduces the frightening stop-starts that your baby might experience on his rides. This translates to more enjoyment and easier control. These deliver power during every rotation of their crankshafts and have high kicks in their steps. They, however, could be more difficult to rein on in at low speeds making them less suitable for young kids under training. Benefits Of Riding A Dirt Bike To Kids. Introducing babies to dirt biking while they’re still young could contribute to their loving it for life. And if they later become local champions, they will forever be grateful that you bought them their first child’s dirt bike. 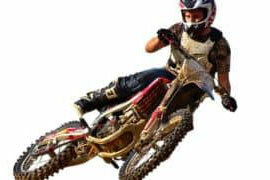 Even though dirt bikes are motorized devices, they still require significant body strength to operate, turn, and lift. Your baby will have to use their hamstrings and various other leg muscles gradually improving his/her overall body strength and stamina. Nothing helps young riders fine-tune their balance skills like little dirt bikes. Over time, kids learn how to use their leg muscles to keep them perfectly poised as they race up/down hills and go over jumps. They also learn how to maintain balance when maneuvering destabilizing obstacles like bumps. Admittedly, convincing kids to drop the remote and the iPad to get out and play is a gigantic task for many parents. The dirt bike is only one of the few devices that prove more exciting for kids of all ages. Mention it and they’re ready to get off the couch for another round of adventure. The act of bike dirt riding is known to activate the crucial pre-frontal areas of a baby’s brain and help brain alertness. Kids who ride motorcycles also end up improving their cognitive functions over time. By riding together, parents and kids strengthen their bond especially if his/her other siblings are involved and build their socials skills. These skills will, later on, be very helpful in cultivating harmonious friendships with peers and strangers in the future. While motorbiking can look deceptively effortless, dirt biking still requires some good effort as he/she executes the various tricks and jumps. Core muscles, as well as leg and arm muscles, will be involved making it a good exercise for physically unfit juniors. The skills he learns while riding dirt bikes for toddlers will, in general, make him a better street rider in future when he is of age. Other styles of biking also become less scary even in less than ideal conditions. Different Types Of Dirt Bikes For Kids. Needless to say, these are gasoline-fuelled and are traditionally the most eminent. As I had hinted, they come in either 2 or 4 stroke engines with each offering slightly different user experiences. In general, the bigger the bike engine size, the more fuel it burns. Of course, bigger engines usually go faster and are quite popular in dirt bike racing. The World is going green and dirt bikes aren’t going to lag behind. Indeed, electric bikes (powered by batteries) are predicted (by some) to eventually kick out gas-fuelled bikes out of relevance. Riders love the Eco-friendliness and easier maintenance of electric models. Certain dirt bikes have been improvised to serves the girls population. And while they perform as well as their boy’s versions, they seem to have higher adjustability and can be easily customized to perfect fit. Some are shorter than their boy equivalents (considering girls are on average shorter) and are enhanced with awesome aesthetics. Boys’ dirt bikes don’t prioritize aesthetics and are a tad taller. Some feature fantastic features like movable kickstands and spring rear suspensions. The goal is to retain the excellent functioning of girl dirt bikes but leave room for top-notch speeds and adept corners handling. A Guide To Dirt Bikes for Kids For Different Ages. 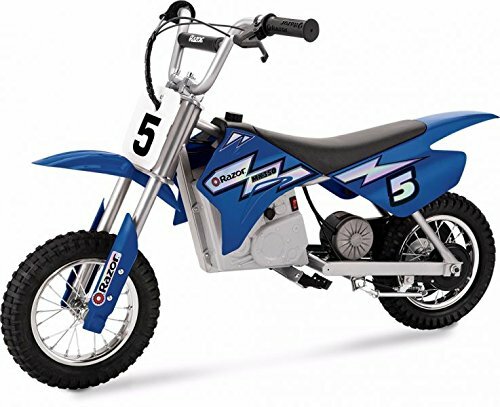 There’s a large selection of dirt bikes for kids both electric and gas. For many parents, a 50cc dirt bike is usually great as a starting point. However, kids grow fast and they keep outgrowing bikes so consider buying a bike that grows with him/her. The most important point to recall is that your two-year-old is, first and foremost, a baby so don’t expect too much. I had mentioned that 50 cc bikes are easy for these toddlers. Training wheels are also a real deal since its very early days. Similarly, colorful bikes like the ride on dirt bike toy are also attractive as kids find colors exciting at this level. The idea here is to inspire children to take up dirt biking so you want bikes with realistic features for this age group including treaded tires, training wheels, and a fun engine. The bike should also be easy to start, preferably with a simple on/off switch and even have good built-in kid’s music for added pleasure. Personally, I have used the best choice ride-on dirt bike and my boy had a bomb with it. 4-year-olds are easier for parents as they love anything new – adventures, experiments and all. 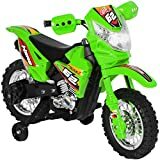 He/she is also a fast learner, by now, making 4 years an optimal time to introduce real dirt bikes for kids like the extreme rider’s kids bike. This age is still within the 50cc limit while speeds shouldn’t exceed 10 mph as of yet. The aforementioned bike can reach a top speed of about 4.4mph which is still quite thrilling for this age group. Though not as explorative as at 4-years, 5-year-olds are very impressed with their own increased abilities. Importantly, they’re able to judge what they can pull off/not and are more confident. For dirt biking, it could be time to teach him another lesson. I once purchased the MXS roczen Sfx bike as a birthday gift for my niece (when he was turning 5) and found it quite satisfactory. He/she can be extremely adventuresome and enthusiastic. A lot of youngsters are also very competitive by the 6th birthday and may demand the fastest possible winner. They may also be aggressive so you have to temper his/her needs to win and aggression by buying a balanced bike. A solid option here is the Extreme’s riders bike . I love that you can remove the training wheels for a more adventurous ride. He/she can even participate in competitive mini-races for additional entertainment. The bike you pick here should thus be a good racer but not so detailed as to lose out on the basics. Perhaps you can check out the 4-gears Coolster gas mini bike to see if can fit. By the time your child reaches 8 years, his/her gross & fine motor skills are now well integrated. Similarly, the child’s coordination is perfect and he can manage to steer a fairly sophisticated bike in synchronized motion. 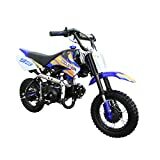 Bikes which match these skills include the Razor RSF350 Electric dirt Bike especially for kids not beyond 5 feet tall. Safety is very important since he may attempt some daring turns and he has manual rear disc brakes so it’s very safe. The key when selecting bikes for 9-year olds is remembering that they’re very willing to attack difficult new tasks. They can also thoughtfully plan and approach tasks with more maturity and so a resilient dirt bike is paramount. I would recommend an expertly designed bike such as the Kawasaki KX 450f. These kids find physical activities delightful – sliding, climbing, and jumping with dirt bikes. You, therefore, require youth dirt bikes that can hold up well against their happy go nature while remaining safe. 10 years could also be the perfect time to step up to more powerful bikes in the range of 50-70cc (for gas). I love NewRay bikes and the NewRay 44093S dirt bike would be a great candidate. 11 year olds are self-assertive, loud and exuberant, and outgoing and friendly. They would be happy to have a bike they can show off to friends as they enjoy super-charged experiences. For the first time, a bike with genuine dirt bike geometry and relatively high-torque together with variable speed motor could be an ace. Bikes for this age set could reach twice the speeds of previous fast dirt bikes for kids. The Suzuki rm-z450 is one such bike. The teen is now undergoing a major mental shift and simultaneously more dramatic physical changes to their physique. They’ll perhaps do well with bikes they can experiment with anywhere on dirt, rock, mud, gravel, and more. Also, they will soon be 13 so you can pick a bike such as the razor Mx350 rocket which they’ll comfortably jump to even beyond 13 years. Although the age each youngster enters puberty varies, most kids are already maturing by age 13. Among the prominent developments is super-high energy levels plus big interest in sports. 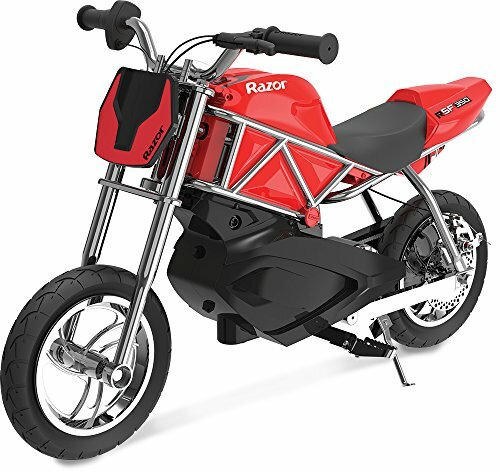 The merging of these factors means he/she is okay with miniature electric motocross bikes like the razor SX500 McGrath. The bike is super quiet and can hit speeds of 15 mph, enough to leave similar bikes choking under an avalanche of dust. Overall, you can find bikes even 250cc here though a maximum of 125cc is considered reasonable to avoid over-stretching the boundaries. 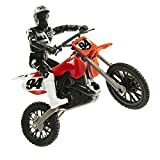 Buying Guide For The Best Dirt Bikes For Little Kids. 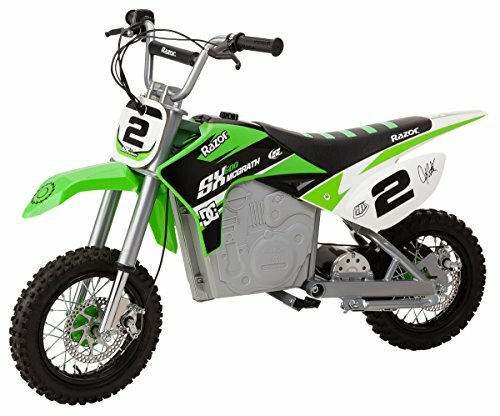 Like with other ordinary kid bikes, the size of a dirt bike has a huge say on whether your little champion will be comfortable or not. Of course, you don’t expect your child to embrace your gift of a dirt bike if he/she isn’t feeling cozy. At all cost, ensure that your kid can sit comfortably, feet touching the floor. This allows for better control, especially when starting or stopping his bike. Proper height also helps in the balance as the kid can put out their foot to improve balance if they feel they’re riding precariously. 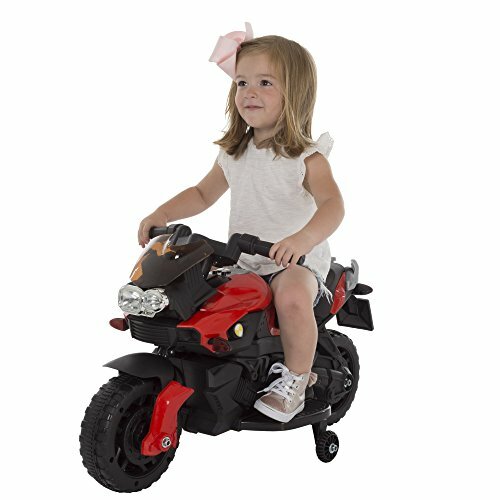 Ideally, your toddler dirt bike should be lighter than your child as children find heavy bikes more difficult to maneuver. Additionally, heavier dirt bikes can be dangerous and are more likely to cause a serious injury in case of falls. Typically, engine size starts at 50cc and is recommended not to exceed 125cc. It’s better to start lower and advance to a higher engine as the kid grows up. Small capacity bikes (below 125cc) come with varied wheel sizes. Smaller wheels are lighter and nimbler so kids can make quick turns easily. The only danger is that their rims are susceptible to bending easily when handling rough corrugation. Conversely, bigger wheels are heavier and soak up corrugation and small bumps better. The key is the age and to be on the safe side, you can start him/her with small wheels then upgrade to taller wheels as he/she grows physically. It’s also important that children can support themselves and specifically, maintain the right posture- that’s an upright position when dirt biking. This means he/she needs sufficient core body strength. Still there, the issue of hand strength crops up. Can they grasp the handles with a firm grip? And can the child hold back the bike’s throttle and sustain a steady course? How steerable is the dirt bike for your young man or dotting girl? Make sure they can steer the bike away from dangers like oncoming obstacles. Here, the kid’s hand-eye coordination is paramount so test your youth first. 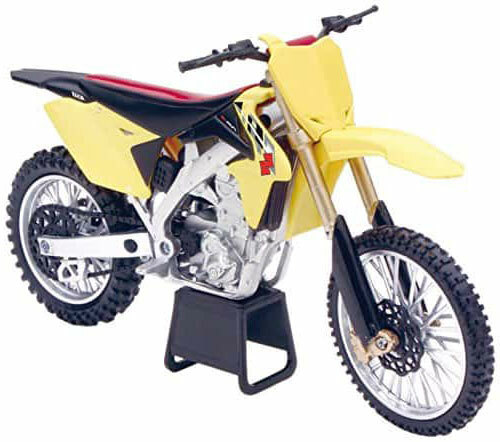 The suspension incorporated in dirt bikes for little kids determines how smooth will be their rides. 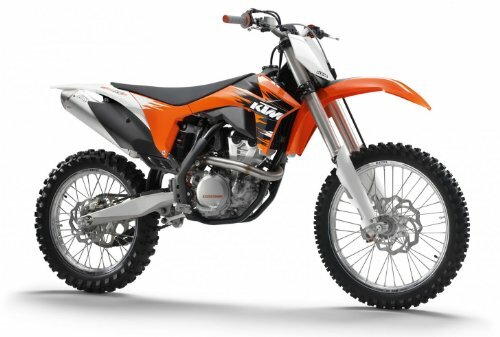 Both the 2-strokes and 4-stroke engines deliver different stability depending on the kid’s age and strength so compare to see what fits him/her more. But here you’ve to be careful because excessive suspension adds more weight and makes the bike less steerable. You want your child to spend more time out there and not in a garage. The thing with dirt bikes is that their engines will still require proper care and maintenance to remain in tip-top shape. Thus, it makes more sense if you’d pick an engine that’s easy to maintain. On the whole, two-stroke engines need comparatively more attention than four-stroke engines. Obviously, there are other factors in play when selecting the engine but that’s an important point to note. Basic kids’ bike’s come with easy-to-start electric start engines. They’ll, however, demand a powerful bike as they advance age-wise so kick-starters become dominant. These aren’t that forthright and you might be called upon to help your upcoming champion start their dirt bike before they get used. 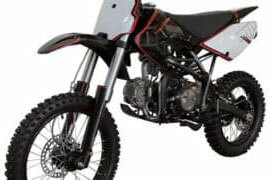 Something else: The latest dirt bikes feature an electric system so unless you’re investing in an older, second-hand model, starting system may not be a big issue. Be sure to start the kid on the right sized dirt bike. Stick to flat, straight dirt roads during the first days. Also, they’re not yet competent so discourage 180-degree turns. Have them wear safety gear and ensure helmets fit their head snug for full protection. You can use training wheels if you’re not confident of his riding skills. But don’t overindulge in them as he/she may develop an affinity for them and refuse to ride without them. Don’t overload your child with information. Instead, you’re more likely to achieve quick success teaching him one skill each trip. Carry enough water and keep stopping them for water breaks to avoid dehydration. Inspect their bikes before every ride to ensure it’s in top shape. Check tire pressure, test the brakes, and every other essential. Dirt bikes for little kids lets younger kids live out their off-road dreams and for some kids, nothing is exciting as leaving everyone covered in pockets of dust. But one way or the other, you have to be involved. From buying the right bike, training, and even keeping them company as they battle to become champion riders. We’ve already looked at the basics of getting the dirt bike decision right all the way to safety tips so you’re well equipped. I should add that you’ll need to be patient because kids sometimes take more time to perfect the skills. But considering the benefits of dirt biking for kids now and later, every one of these efforts is very worthy. How Fast Does A 250cc Dirt Bike Go? – A Detailed Guide. How Fast Does A 125cc Dirt Bike Go?